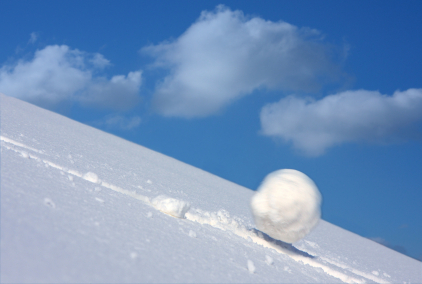 Let us introduce you to a new verb, "SNOWBALL" - business development program on steroids. PaperFree.com roll over Snowball program as an opportunity to grow your organization utilizing global business knowledges and modern technologies. 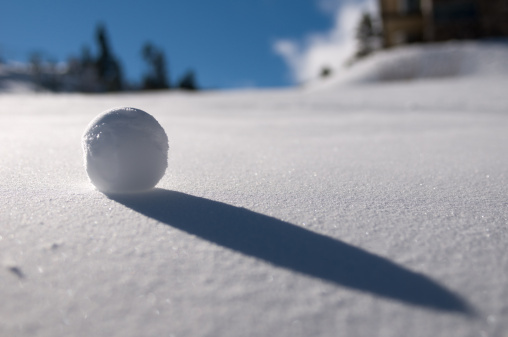 As the snowball start from small it rolls down a hill, it begins to accelerate, while also growing in size from accumulating whatever is on the hill. By taking advantage of PaperFree's connections and tools, organizations can grow faster than ever before. 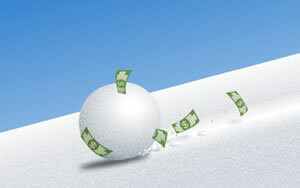 Fig#1 The picture illustrates, your company team, your company partners, PaperFree are "pushing a snowball." Delivery - your organization will get strategy plan. Before we roll the ball, PaperFree will help you to know more about your company. You will get snapshot of your company before program. Then we study information like your website, history, social media accounts, and various other items. Based on your unique business goals we will help you to draw your first strategy map. Plan intruduction Once plan has been received, we'll set up a kick-off call to discuss various aspects about the program and how to proceed. We will introduce our team, support vendors and cover our functionality and goals, and we'll ask you to do the same. We'll decide what our priorities are together as well as our goals, for both companies. As much as we can, we'll make this a team-based process, collaborating as much as possible. Start After we have the kick-off call, we'll launch the program into full throtle. Soon after we begin, we'll have metrics and statistics available to you about your business- maximizing your productivity and letting you be aware of everything occurring, as well as showing you trends in the company, factoring in the snowball effect. District #3: Free fly. Just support. Delivery - list of actions and people to support your succeeding with the Program. After the snowball start rolling we will create list of your team members and vendors to support your succeeding. PaperFree Snowball's Mission Statement: is to identify problems holding organization growth - and then quickly link them with solutions. What I get for my organization? Your organization will get maximum potential return from existing organizational infrastructure, employees and vendors. Organization will be connected with experts in fields armed with best industry technology tools. What organizations eligible to apply for Snowball programm? Any for profit and nonprofit organizations which can follow directions and be ready collaborate with company partners eligible to apply for Snowball program.